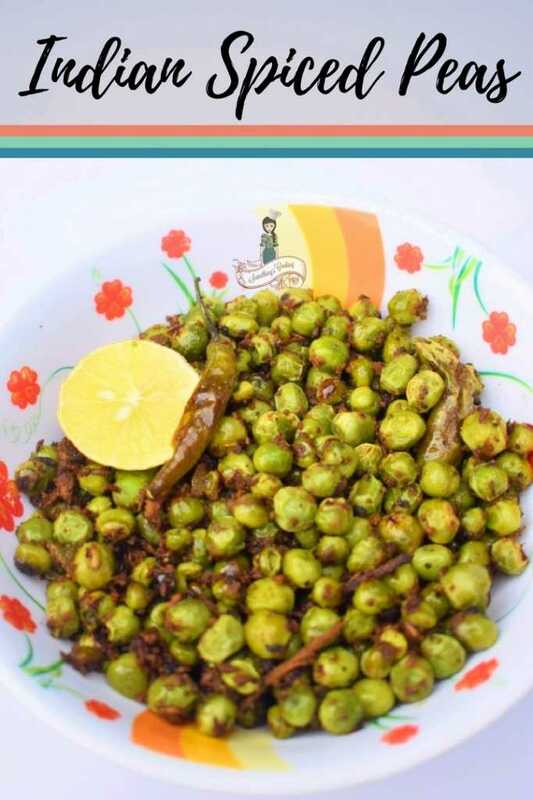 An easy dish that I often make when I have people around – Spicy, Salty and a wee bit Sour, the Indian Spiced Peas makes a great snack or side dish! 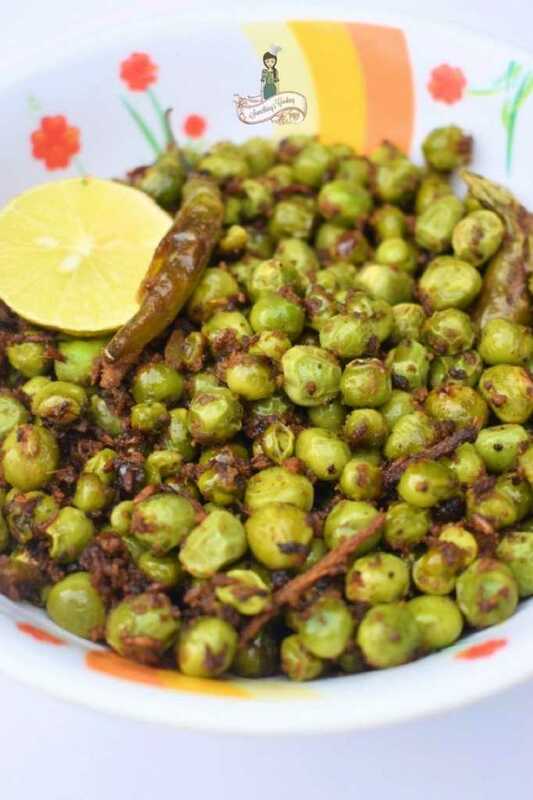 Masala Matar or Indian Spiced Peas is one of the yummiest ways to spice up the peas for your next meal. The best part is that you can serve this as a snack, a healthy alternative to your Pringles or Popcorns. I make them without adding onions or tomatoes. However, you can add these ingredients to get a more side-dishy style. They taste fabulous as which way. 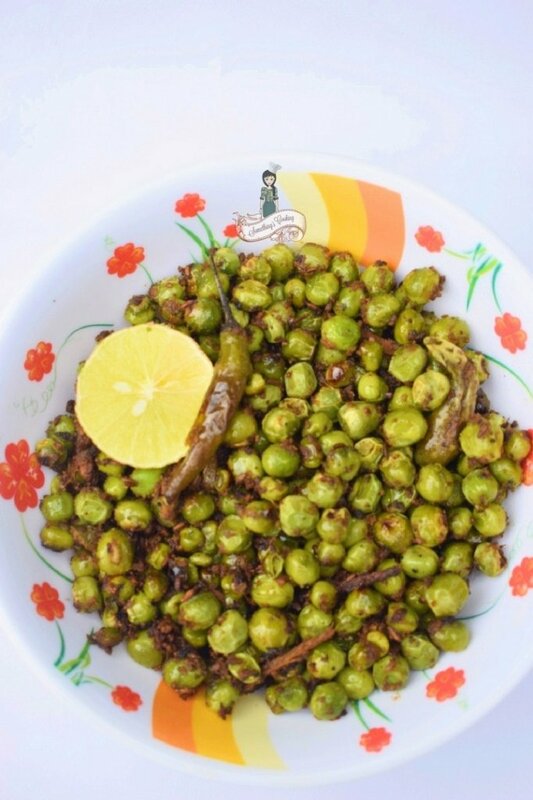 Masala Matar is often prepared during winters as peas are available in abundance during this season. Of course, you can prepare this dish using frozen peas as well. This recipe can be tweaked to your suiting. I have not added red chili powder but instead used green chilies for the hotness. Heat oil in a pan and add cumin seeds. Once they sizzle, add green chillies and ginger. Saute. Add the spice powders, salt and a splash of water. Add in the peas and coat them with the spices. Cover and cook on low flame for about ten minutes. They would be slightly wrinkled. This looks really good! Have never tried this! Your easy recipe has tempted me to! In our family we call these ‘hare mattar ki guguni’ and my chachi makes the best of these in the world. I absolutely love her version of this dish and insist on eating only this whenever I visit her. This looks like a very easy and quick recipe. Never tried it before but surely going to try soon when I am out of ideas. I make sundal every day and love fresh peas. Luckly we get it in our market the year around. Very good for health–and i like that you added green chilis–really enhances the taste like chili powder never can! Add a dash of lemon and yay! Yummy! I’m here from the A to Z challenge. This recipe looks delicious ! Looks yum. Have never made it at home. Will try with frozen peas.Thanks for sharing, Shalini! That sounds like a very yummy way to have peas. I would probably have to turn down the heat a little since I am a wuss, but this sounds tasty. 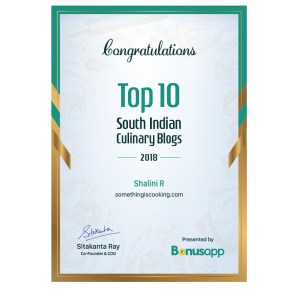 I like such easy peasy recipes, so a big thank you for sharing this one, Shalini! Sounds lip-smacking! Another great recipe. I need to find masala. Do we boil the peas before adding it to the pan? Uncooked peas gives out a weird odor and I’m not a fan of its taste too. But when perfectly cooked, it is delicious! My husband is going to love this recipe. Thanks for sharing dear. A party snack? Now isn’t that stretching it a bit too far? We serve this as a side dish for a meal.